The Federal Government’s Energy White Paper  released in April of this year appeared desperate to ignore the link between energy and climate change policy that’s been evident and understood in Australia and across the world for many years. This changed with the release of the mid-year communique from the COAG Energy Council , the peak body of Australian energy ministers. The Council ‘agreed that the energy sector would need to play a major role in Australia’s effort to reduce greenhouse gas emissions’. How those symbiotic policy areas play out over the next few years has major implications for Australia. Will we remain an energy export superpower? How will we meet our climate change targets? Can we maintain a reliable and affordable domestic energy supply? The International Energy Agency (IEA) recently released its World Energy Outlook for 2015 . As with any such analysis, the best insights come from exploring a range of future possibilities, rather than a specific forecast. In addition to assumptions about global and regional economic conditions, the IEA explicitly recognises the importance of global action on climate change for energy supply and demand. Its Outlook describes three scenarios: one in which current policies continue and global average temperatures continue to increase; a second in which the global community acts to meet its objective of limiting average temperature increases to no more than two degrees Celsius; and a third in which countries implement new policies to meet the commitments that they will take to the December Climate Change conference in Paris . In that case, the average global temperature increase is likely to be between 2.5 and 3 degrees. For Australia, there are two critical energy issues that will be impacted by international action on climate change. The first regards our exports of fossil fuels, i.e., coal and gas. In the current policies scenario, global coal demand grows by 43% and gas by nearly 60% between 2013 and 2040. In the new policies scenario, coal demand grows, but by only 12%, while gas demand still grows strongly by 46%, reflecting the lower emissions produced from the combustion of gas relative to coal. But, in the two degrees scenario, while gas demand still grows by only 15%, demand for coal falls by 37%, beginning as early as 2020. It’s clear that action to address climate change means that we can’t burn much more of the world’s fossil fuel resources, at least without developing and deploying new technologies. Coal retains its smaller share of global energy demand in the two degrees scenario only if three quarters of coal-based power stations in the world are equipped with technology to capture and store the CO2 emissions. In 2015, this seems a distant prospect with only one commercial-scale plant  in the world meeting this condition. Australia is already a major coal exporter and is positioned to be the world’s largest exporter of liquefied natural gas (LNG) within the next few years. Those exports represent major and growing sources of export revenue, earnings that face a material threat if the world acts to address climate change in the way it has already promised. A business faced with such a threat to its revenue would have a plan, and our national self-interest argues that we assuredly need one. The second critical energy issue emerging from the Paris conference is that the Government has announced a commitment to emissions reductions as our share of meeting the global objective. For the first time, we have a post-2020 target, namely that Australia’s emissions will be reduced by 26–28% below 2005 levels by 2030. It’s likely that that target will have to be increased in the future as the international community finds a mix of commitments, policies and actions to meet the two degrees objective. Australia’s existing climate change policies have contributed to a real chance that we will meet our current target of a 5% reduction below 2000 levels. Those policies will need significant reengineering to meet our new post-2020 commitment. Climate change polices impact the energy sector in many ways. One example has been how the legislated target  to generate more than 20% of our electricity from renewable sources has combined with falling electricity consumption to deliver a major over-supply of electricity generation. This over-supply has meant lower wholesale prices, financial pressure on generators and the early closure of coal-fired power stations. The announcement  of the early withdrawal of Northern Power Station, caused the Australian Energy Market Operator to observe that the move would ‘impact the supply demand balance for South Australia over the next three years, and increase South Australia’s reliance on wind generation and imports from Victoria. 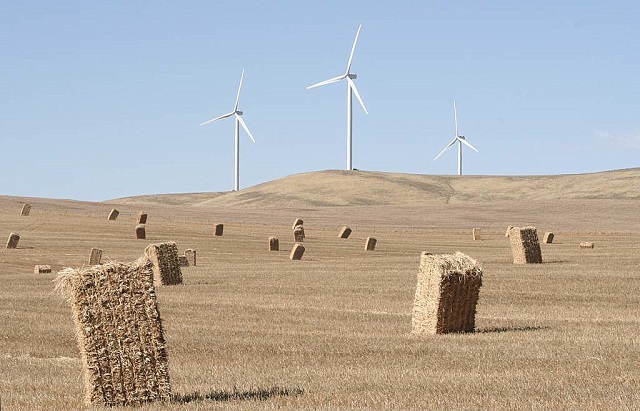 When high demand coincides with low wind generation, plant outages, or low levels of imports, South Australia may experience supply shortfalls’. Those changes are manageable, but not without a clear plan. Energy market outcomes can determine climate outcomes because the majority of Australia’s emissions come from the energy sector. For example, there are no constraints on emissions from the major new LNG export facilities being commissioned in Queensland, which likely means an increase from that source alone of some 10 million tonnes of CO2 per annum. Global and domestic developments demonstrate the stark necessity for a plan and policy mix that integrates energy and climate change. The Energy White Paper failed badly on meeting that need. Maybe the new Federal Energy Minister can galvanize the COAG Energy Council and work with the recently reinvigorated Environment Minister to deliver such a plan. It’s sorely needed. Tony Wood is the director of the Energy Program at the Grattan Institute. Image courtesy of Flickr user David Clarke.